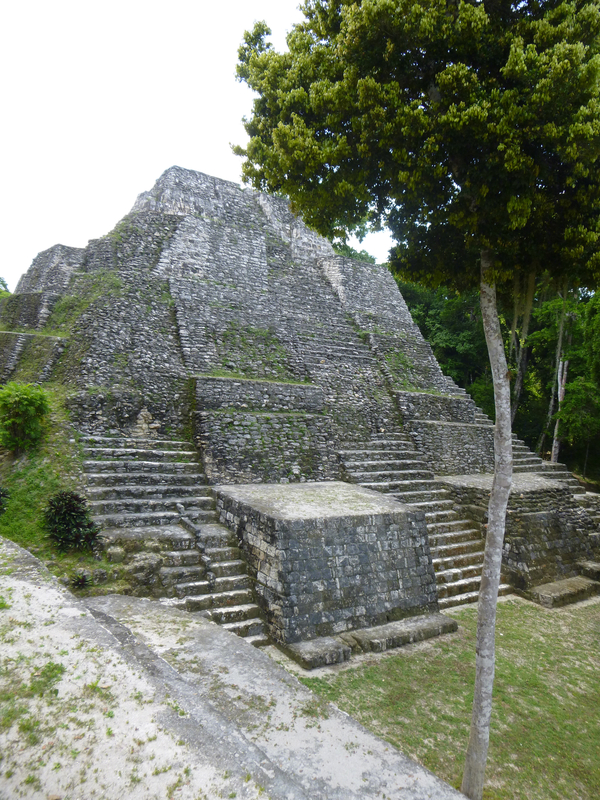 Yaxha is actually the first Mayan ruin I have ever visited. I soon realize that the structures that can be seen is only a small portion of the complex. The archeologists prefer to keep most under the soil and trees. Two reasons: it is expensive to restore and it is even more to maintain. 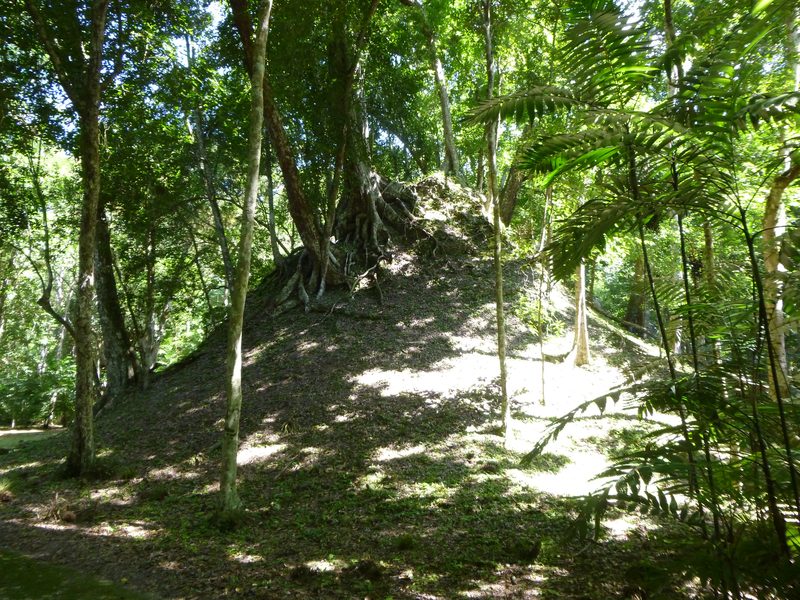 Therefore, when you visit a Mayan ruin and you see a mound (big or small), chances are there are Mayan structures under there. 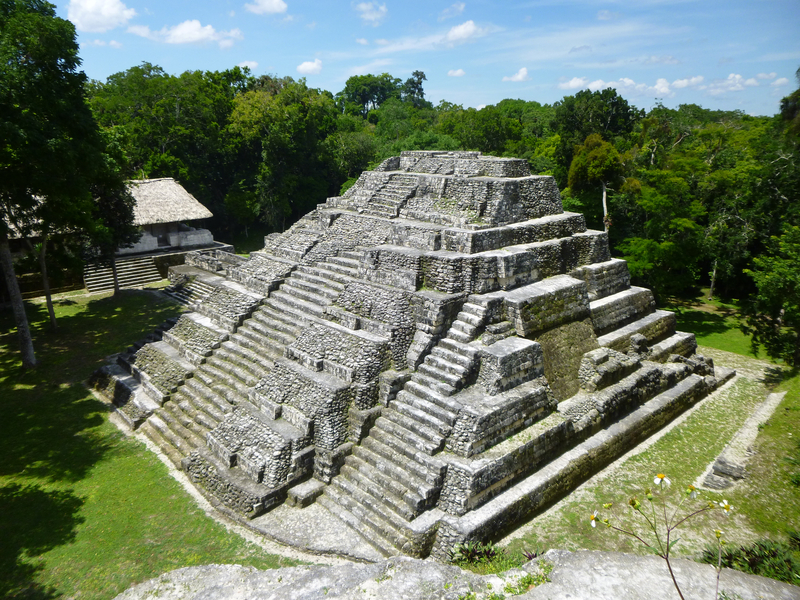 Another highlight of Yaxha is that in its acropolis, you see two pyramids (east and west) and a temple on the North side. 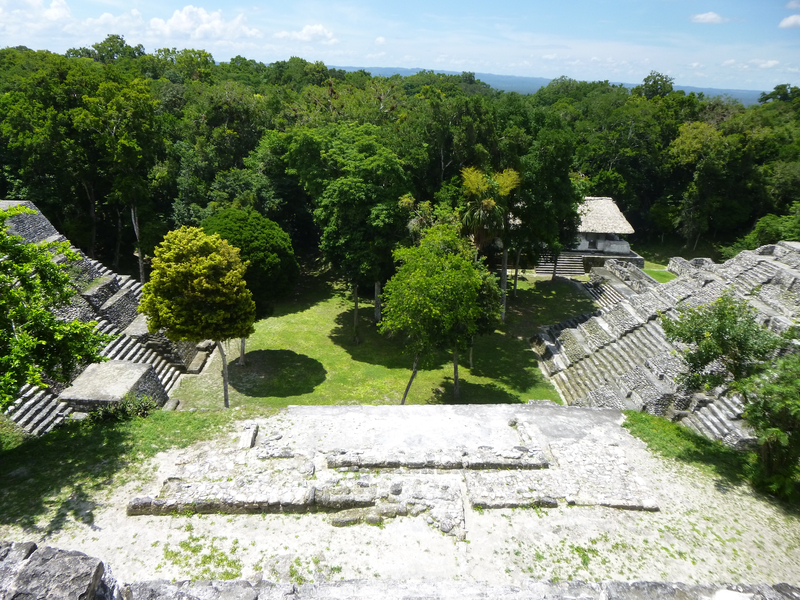 Most Mayan acropolis apparently has the east and west pyramids (referred to as twin pyramids) and the rest are residential buildings. Unfortunately my camera cannot capture all three together. At the entrance of this acropolis, we can also see the different phases of building and there is a carving a crocodile from the Pre-classic era. We also saw pyramids from pre-classic and late classic period, side by side. 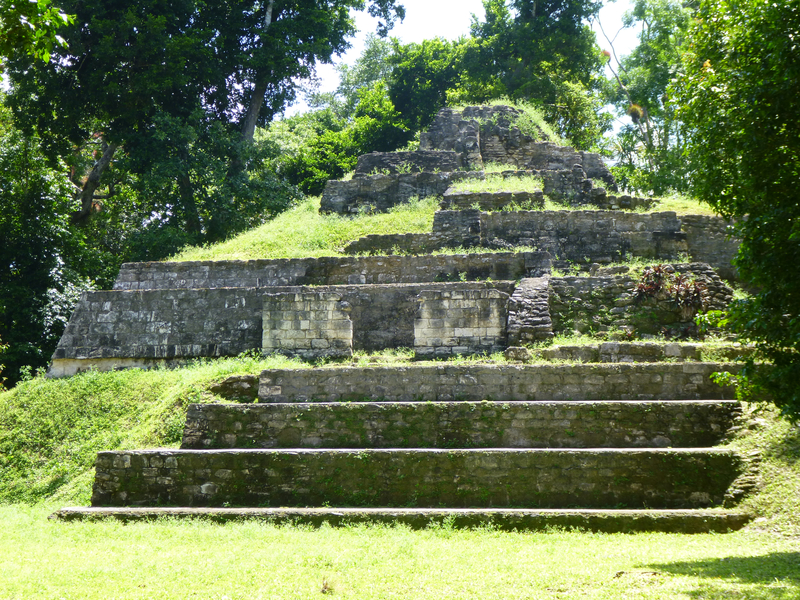 The pre-classic structure shows the different building phases and this can be seen from the different style of stairs. We climbed to Yaxha’s highest point. The temple is actually small, but it was constructed on four platforms. From this point, we can enjoy amazing views. 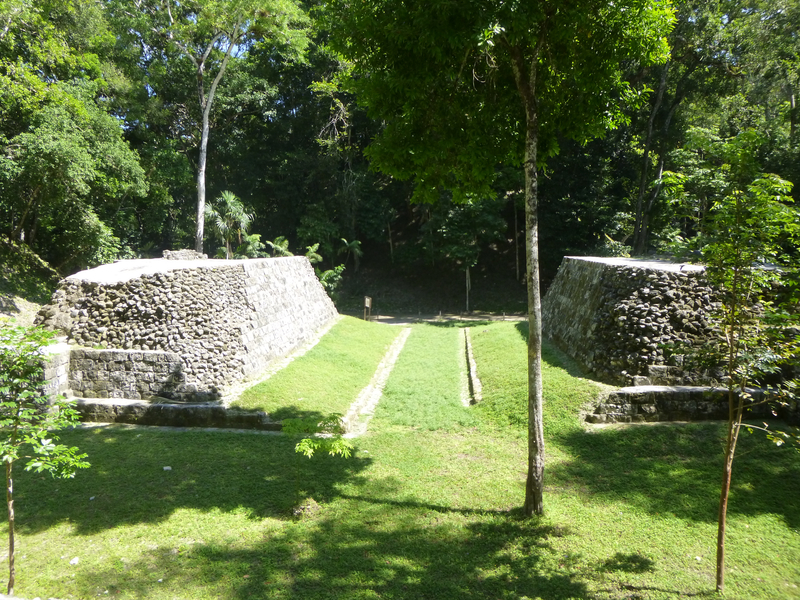 And Yaxha has one of the best restored ball court (juego de pelota). Unfortunately, no reference in terms of drawing of glyphs are ever found describing the games. No one knows how they kept score, decided the winners or losers, and if they sacrificed either the winners or the losers (it could be both depending on the purpose of a particular game). 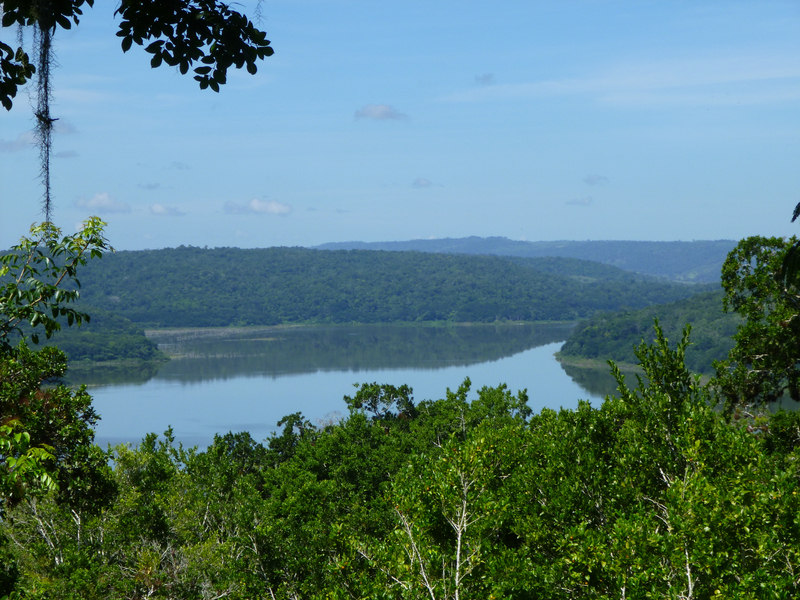 I am trying not to make this project travel guide-ish, but if I ever have a chance to come back to Peten, I will organize one night in an ecolodge in Yaxha to enable me to visit Nakum ruin and then Yaxha for sunset over the lagoon then the next day, visit the Naranjo ruin then continue to Tikal. There are tonnes of ruins in Peten, but some are still pretty much covered by the jungle and they can be quite a way to get to. El Mirador (a few kilometres from Mexican border) is another one on the list. 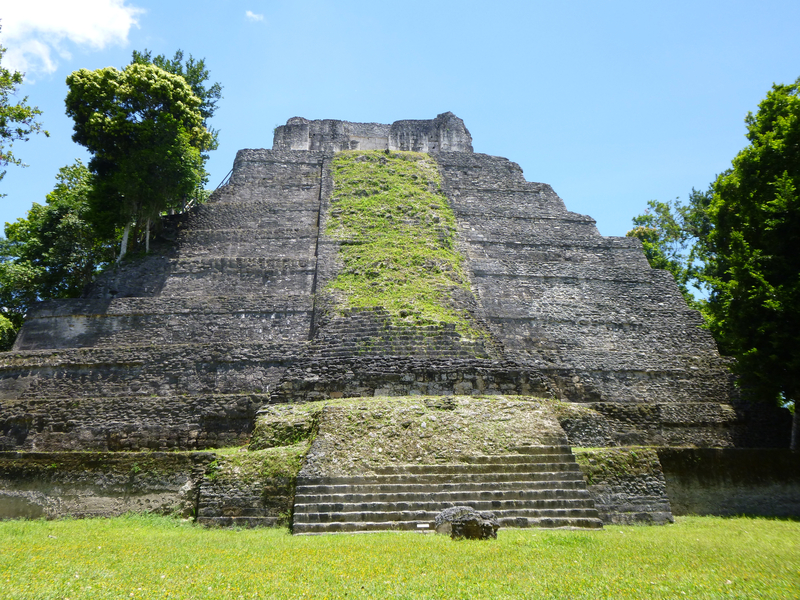 It is the largest (larger than Tikal) and older than Tikal. You have to hike to get there – a min of six days trip. 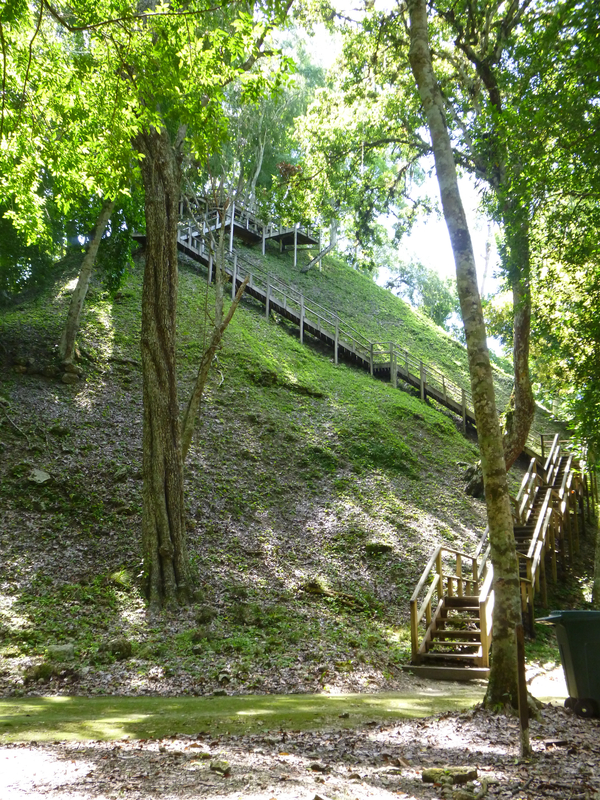 Alternatively, you can splurge and take the chopper from Tikal to El Mirador 🙂 When there is a will, there is always a way.